Hello and welcome to Simple Changes! Hi, my name is Natasha and I have been a personal trainer for over 14 years. I specialise in working with woman to improve their fitness and health particularly during pregnancy and after. I love what I do and the fact that I help woman everyday. I teach a selection of pregnancy and postnatal classes. As a mum of two I understand what it is like to be pregnant, trying to do your best for your unborn child, what comes after they get here (all about them and not about you – but you are important) and that it is all about getting the balance right. My background in fitness combined with a degree in Applied Human Nutrition has enabled me to help many women get in shape, lose more weight, reduce aches and pains and feel overall healthier than ever. My classes are fun and they get results. I feel that people should feel good from exercising and working out or there is no point in doing it. I keep it simple and make healthy eating managable. I understand the science and keep it simple for you. The breathing I teach in the pregnancy classes played a masssive role in the birth of my 2nd daughter. A planned c-section due to her being breech changed to a speedy natural arrival in less than a hr. Being able to focus on my breathing took mind away from what was going on and she was here super fast! 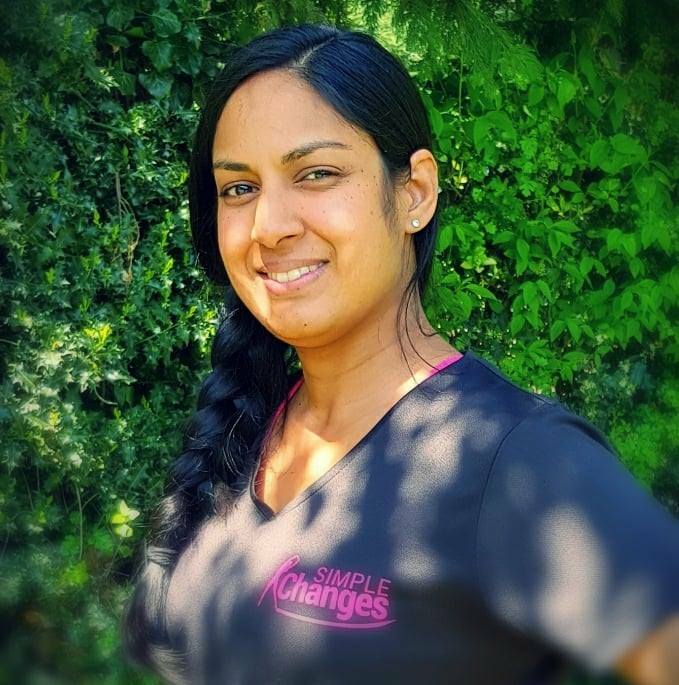 Located in Datchet, Slough, Simple Changes was started aiming to help people make simple everyday changes to improve their health and lifestyle, changes that are for the long term, no crash diets or unrealistic training schedules. I have over 14 years experience working with pregnant and postnatal ladies, working with 100's of ladies in the local area. Women who are currently pregnant or who have already given birth needed a trusted source for their health and fitness needs, someone they could count on to keep them motivated, understand how they are feeling at this special/busy stage of their life and teach them what they need to do to not only get in shape now, but stay in shape for the rest of their lives. If I'm not working you find me out and about with my little ones , cooking good food or gardening! Thank you for taking time to read about Simple-Changes. If you any questions or concern or would like to make a start improving your lifestyle, please feel free to contact me either by email - natasha@simple-changes.co.uk or call me on 07984 417053 07984 417053 and I will be happy to help you.